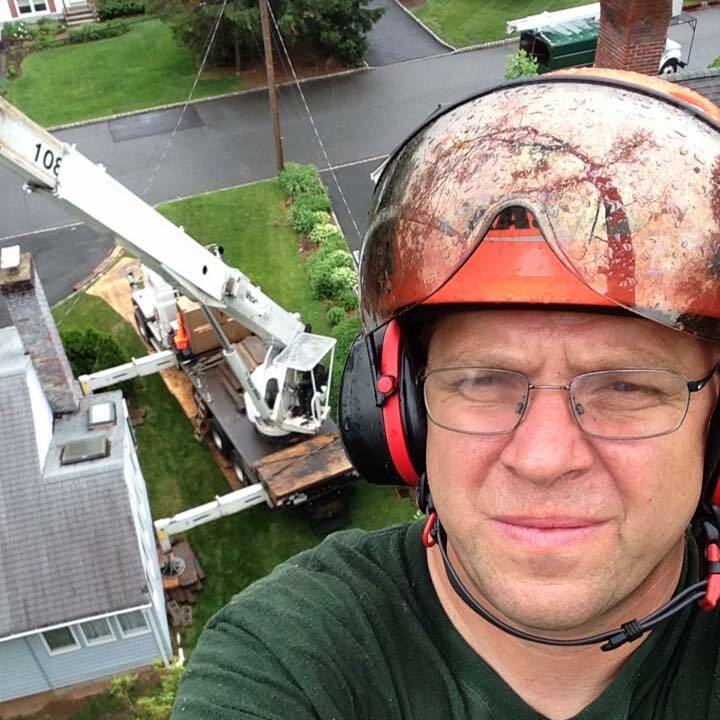 NJ certified tree expert – Gene studied tree biology and health in order to pass a grueling test both written and in the field. 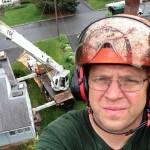 Gene is approved to carry the title of NJ certified tree expert by the no DEP. GENE IS #499. in order to pass the test to become a CTE Gene had to not only know the English name for each try species but the Latin as well. 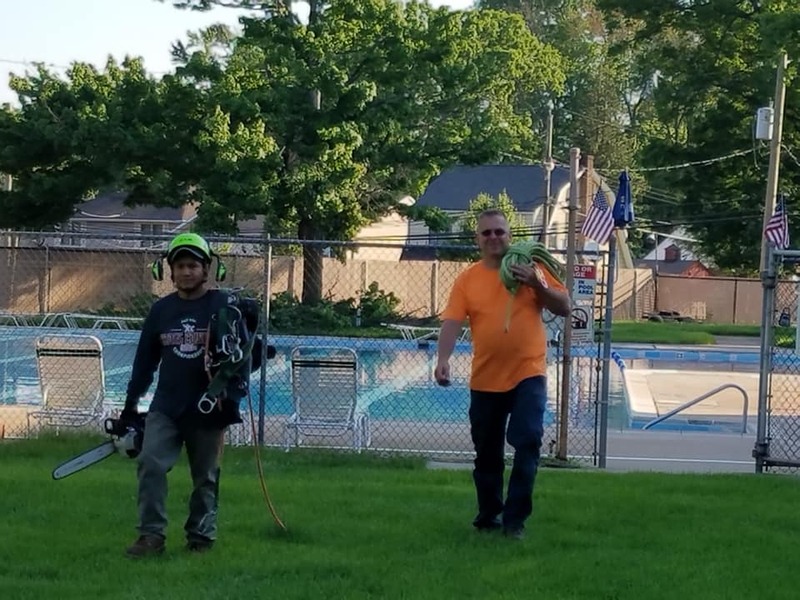 Gene will advise and provide diagnoses of your trees, recommend treatments, and if need be, complete evaluative appraisals in situations that necessitate experience in the science of arboriculture. 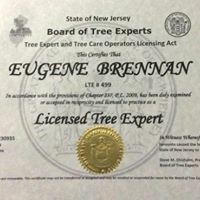 Both Eugene and his father have attained the designation of New Jersey Certified Tree Expert which means that they “have been examined and proven to be competent in the science and art of diagnosing, treating and preventing tree injuries” by the New Jersey Board of Tree Experts and the New Jersey Department of Environmental Protection. 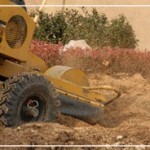 Tree removals or take downs – trees are removed by either hand or saw. Often times a crane is necessary to help lift a. Large tree portion up and over a house or just to safely lower it to the ground. 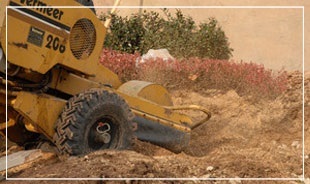 Stump grinding – stumps can be ground out with a chipper. The fillings are usually back filled into the hole. Trees can also be flush cut to grade and the stump left behind if the client doesn’t care about the stump. 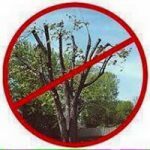 Pruning -trees need to be pruned for their health and longevity. 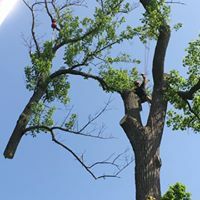 Pruning includes thinning of too many limbs in a tree canopy, removal of cross and rubbing limbs, removal of dead or diseased wood in a tree, thinning to allow sunlight to shine through a tree and give light to the undergrowth. 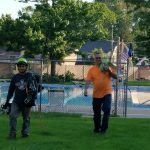 The WRONG way to prune a tree. 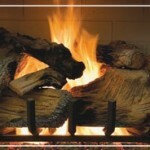 Firewood – fully seasoned, all hardwoods, no soft woods. Will deliver chords, half chords or quarter chords. 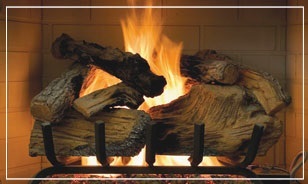 The warmth of a good wood fire.